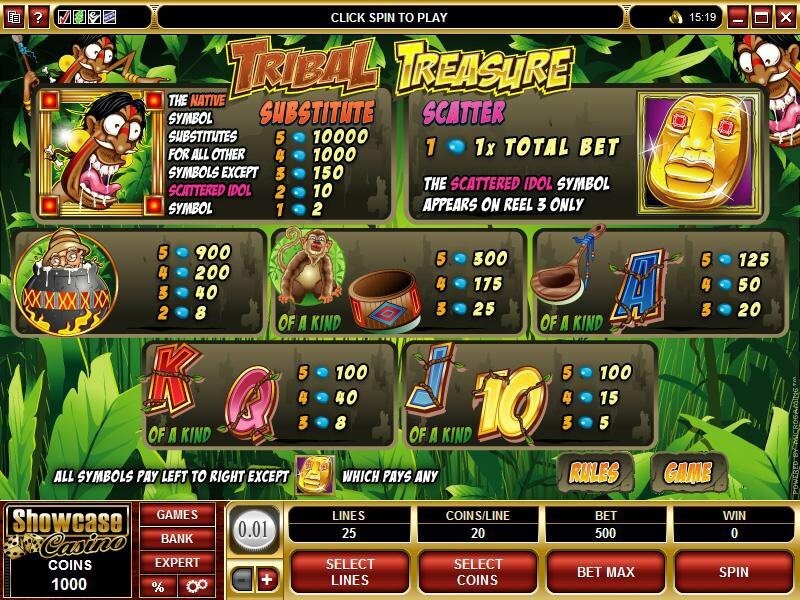 Overview: There are some truly Wild looking locals in TRIBAL TREASURE, a new 5 reel, 25 pay-line Video Slot just launched, which offers Free Spins loaded with a generous 5x multiplier. 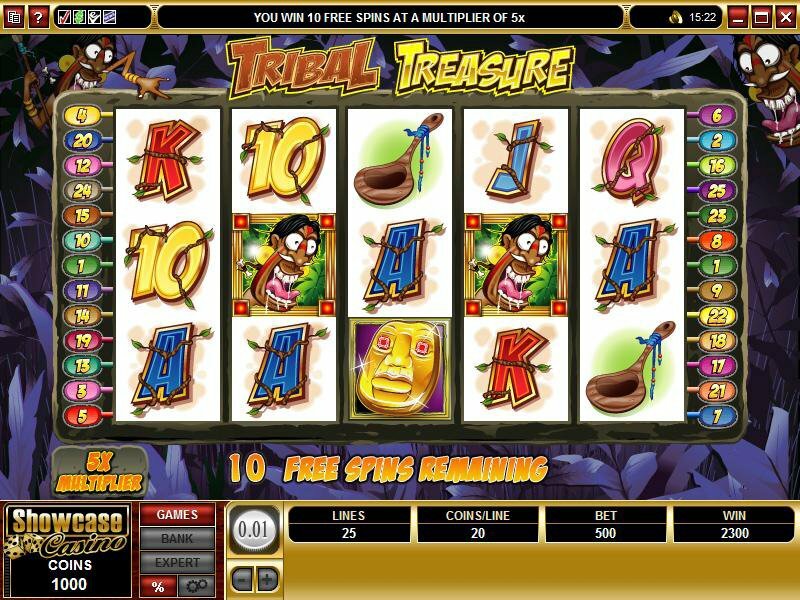 The trick to reaching these rewarding Free Spins is to collect and save the golden Idol Masks whenever these appear on reel 3; when the player has accumulated 10 idols, 10 Free Spins kick-in, multiplying wins by 5x. Augmenting these outstanding opportunities on this game are Wilds and Scatters, and capping it all is a Gamble feature where players can double or quadruple wins by correctly guessing the color and suit of the next card dealt. The setting for the game is a dense jungle through which intrepid explorers trek in a quest for the golden idols, occasionally finding themselves literally in hot water thanks to those wild locals! 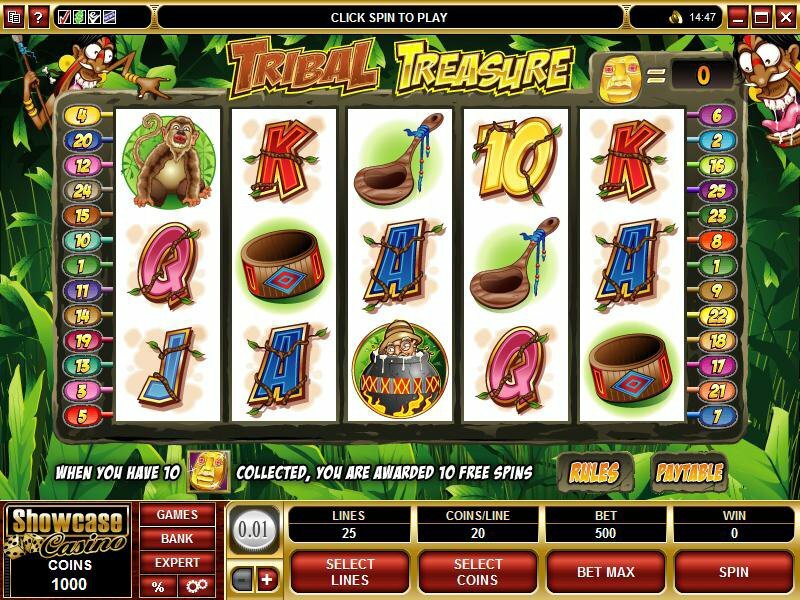 Similar Slots: If you like Tribal Treasure, you might like these other 5-reel slot machines: Alaskan Fishing, Bomber Girls, Halloweenies, Polar Bash, Pure Platinum, Witch Dr..